In our previous blog, we discussed the importance of Why You Need Access To Medical Equipment Rental. For any medical facility, it can be essential to have access to medical equipment rental and maintenance because emergencies happen. If you’re a medical facility who needs access to repair services, preventive maintenance, rental equipment, ventilator service, and sales, then Omnicor is your answer. One of the industry’s leading medical equipment service companies, we’re able to meet your needs when it comes to equipment maintenance and more. In today’s blog, we’ll be able to go over our repair services more in depth to give you a solid idea of what to expect when you come visit us with any of your repair service problems. Serving the medical community since 1991, Omnicor will help you to the best of our abilities with the assitance of factory trained certified technicians. To learn more about our services or to schedule a service call, contact us. What Are Our Repair Services? Have you ever found yourself with broken biomedical equipment? Have you ever needed a quick maintenance check for your biomedical equipment? Have you ever been about to conduct physical therapy to find that one of your essential pieces of equipment needs to be repaired? You’ve probably experienced emergencies in your medical field, but what happens when there’s an emergency for your equipment and new equipment is needed as soon as possible. You don’t want to be stuck in an unsolvable jam without having a backup plan. Omnicor is your backup plan. We’re the ones who come out when something dire is going on with any biomedical equipment. We’re able to repair medical equipment and maintain it the proper way. We’re the ones when you need rental equipment all you need to do is call us and speak to one of our informative and professional employees. 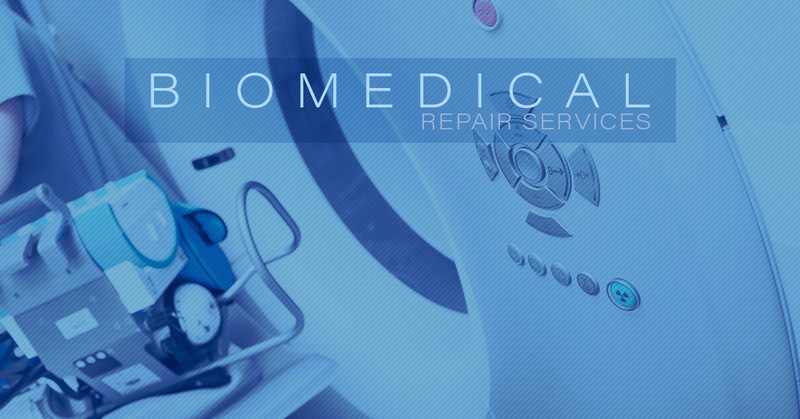 If you want a quick repair for your biomedical equipment or equipment maintenance, then we can also be of assistance. By coming out to your medical facility for onsite repair services, you’re able to stay where you are without the hassle of moving the equipment. Whatever kind of emergency you’re facing, we’re able to help you out with our many services. When it comes to our repair services all you have to do is request a service call and one of our many factory trained and certified technicians will head out to your facility and repair your equipment as soon as possible. When Can I Access The Repair Services? Our medical equipment repair is available whenever you need it. This means if your medical equipment needs to be repaired bright and early on a Sunday morning or very late on a Tuesday night, we can come out and fix it. We offer onsite medical equipment repair services for 24 hours. If you’re in need of 24 hour emergency repairs, then Omnicor can come out with less than 24 hours notice. We’re able to respond to any medical equipment repair within 24 hours or less with a trained professional headed your way. Is There Anyway To Do Equipment Maintenance? In addition to offering repair services, we also offer equipment preventative maintenance, which virtually goes hand-in-hand with medical equipment repair. When you take the proper care of your biomedical equipment with continuous maintenance, then you’re able to keep your equipment in tip-top shape to ensure everything is working correctly. When you sign up for our highly-acclaimed biomedical program, you’re able to have many benefits to ensure your biomedical equipment is in the best shape. Your life is busy with the pressures of your career already; why don’t we take a few worries off of your plate and allow us to take care of all of your biomedical equipment maintenance? When you become a member of our program we’re able to safety check, take inventory of the many parts, do field service, clean, inspect, and lubricate. If you’re tired of worrying about too many problems, then take one off your plate and allow us to maintain your medical equipment. We can repair many kinds of biomedical equipment. For a more extensive list, check out our repair services. A few that we repair are named below and to find out more types of medical equipment that we repair, please contact us. Call (315) 320-4244 to schedule an appointment or let us know how we can be of service to you.